Although you might think that they spend all of their time planning lessons and preparing their classroom activities for the year ahead, there are actually a lot of other things that teachers enjoy doing in their spare time. They’re only human after all! With the spirit of Valentine’s Day in mind, a survey of 210 teachers registered with Simply Education aimed to find out what teachers really loved both in and out of the classroom. 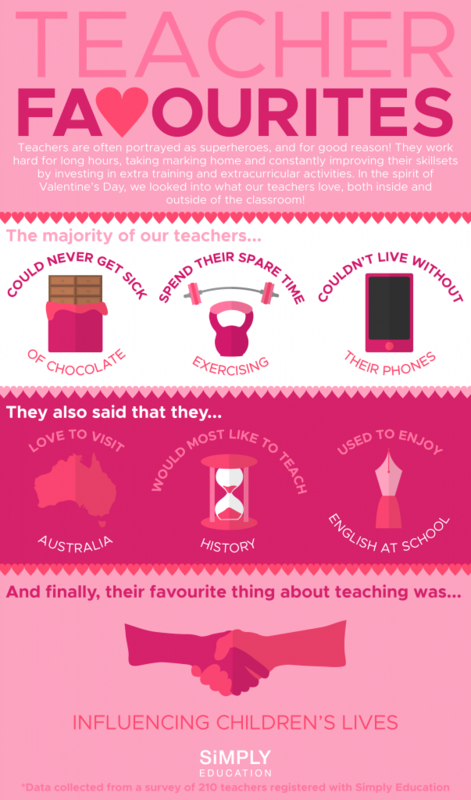 According to the data, the majority of our teachers had a penchant for chocolate, spent a lot of their spare time hitting up the gym and, like a lot of us, not many teachers could live without their mobile phones. When it comes to travelling, the majority of our teachers said that they’d love to visit Australia. Giving the hot weather, sandy beaches, and cute wildlife, this didn’t surprise us at all. Of course, this doesn’t mean that they don’t still dedicate their time to improving their skill set and thinking of new and better ways to teach even the dullest of topics. So, when it comes to the classroom, what would our teachers prefer to teach? Most of them said that they’d like to try their hand at History, despite the fact that these same teachers admitted that English was their favourite subject when they were at school. What was their favourite thing about teaching overall? Everyone agreed that it was the fact that they get to go to work every day and influence children’s lives. If that doesn’t make you want to consider a career in teaching, then what will? 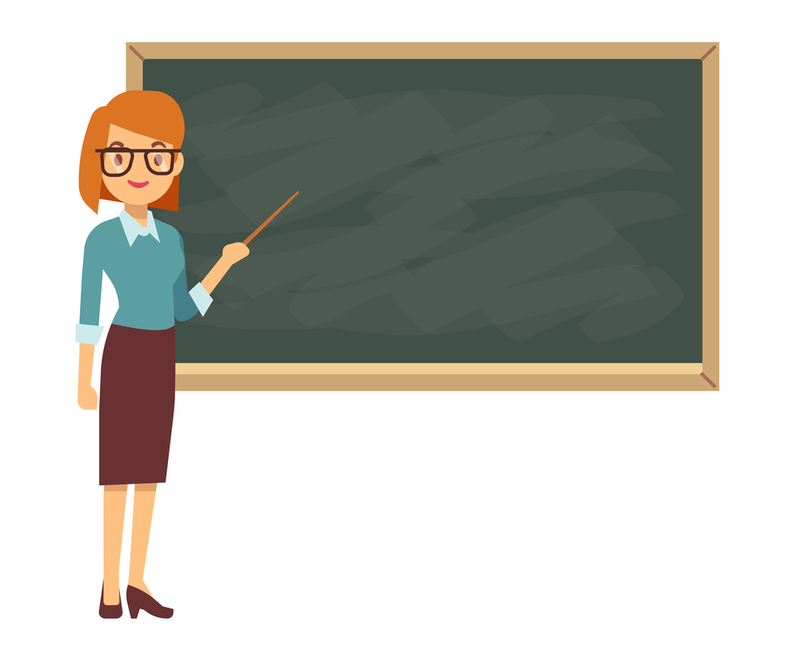 Simply Education is a staffing agency that supplies supply work to teachers and support staff across the whole of the UK. With years of local industry knowledge, their team of consultants works hard to find their registered teaching staff their dream job.